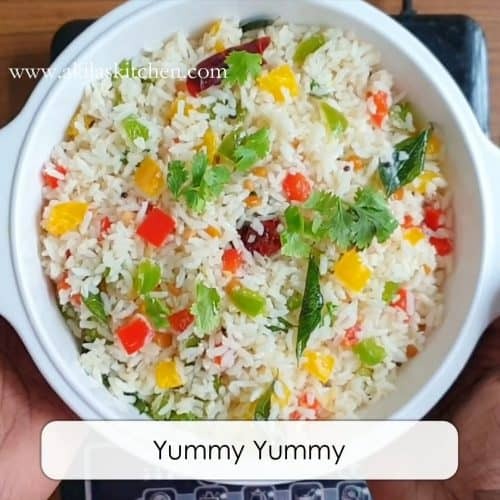 Capsicum rice | Capsicum chitranna | kudamilagai sadham is a very colourful rice made with the three colored capsicum like – red, yellow and green and is also healthy and tasty recipe. 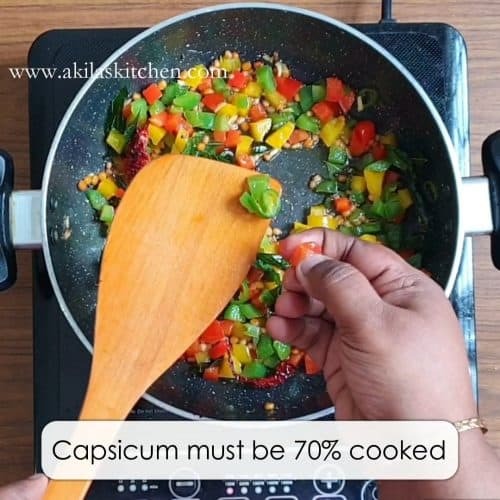 Capsicum rice | Capsicum chitranna | kudamilagai sadham recipe with easy step by step instructions for your easy understanding and learning. 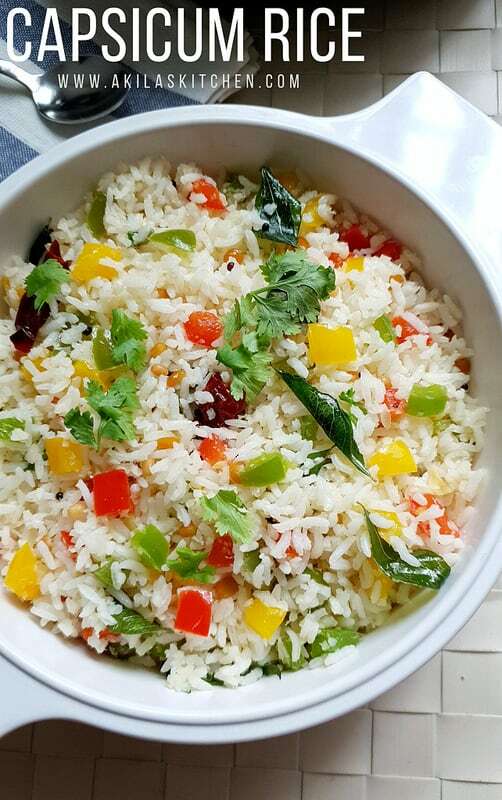 This Capsicum rice | Capsicum chitranna | kudamilagai sadham is really a colourful rice, which can be prepared very easily in the morning and can be given to kids and hubby’s lunch box. 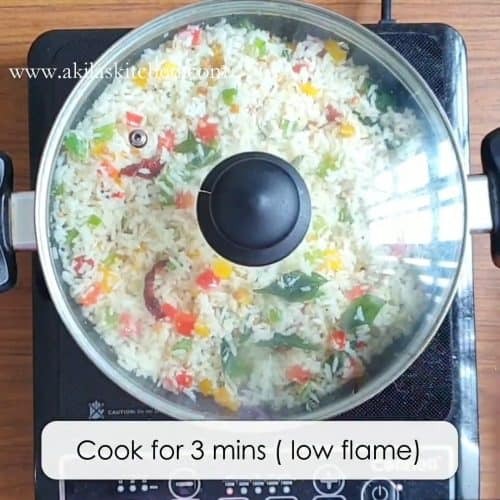 This rice is a signature recipe of karnataka which can be prepared by adding onion or garlic or with out them too. Also here we use the freshly grated coconut and lemon juice, which gives really a different taste. 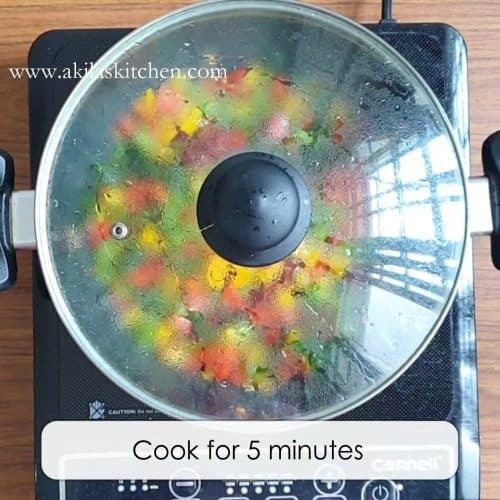 I have taken the recipe from here. 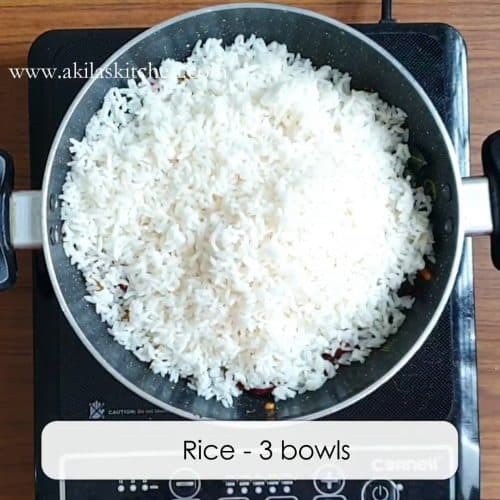 If you need more rice recipes to pack for your kids or hubbys lunch box, then do have a look at the below rice recipe, which are made in south indian style. 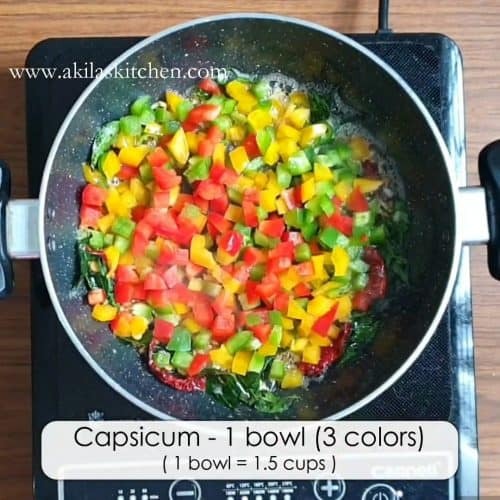 Capsicum rice | Capsicum chitranna | kudamilagai sadham is a very colourful rice made with the three colored capsicum like – red, yellow and green and is also healthy and tasty recipe. 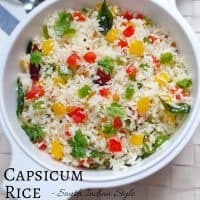 Capsicum rice capsicum chitranna This Capsicum rice | Capsicum chitranna | kudamilagai sadham is really a colourful rice, which can be prepared very easily in the morning and can be given to kids and hubby’s lunch box. 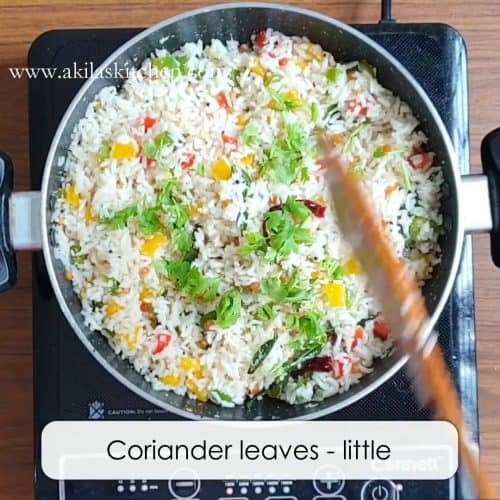 This rice is a signature recipe of karnataka which can be prepared by adding onion or garlic or with out them too. Also here we use the freshly grated coconut and lemon juice, which gives really a different taste. In a heavy bottomed vessel, add 1 tbsp oil and 2 tbsp ghee. you can also add 3 tbsp ghee or 3 tbsp oil. 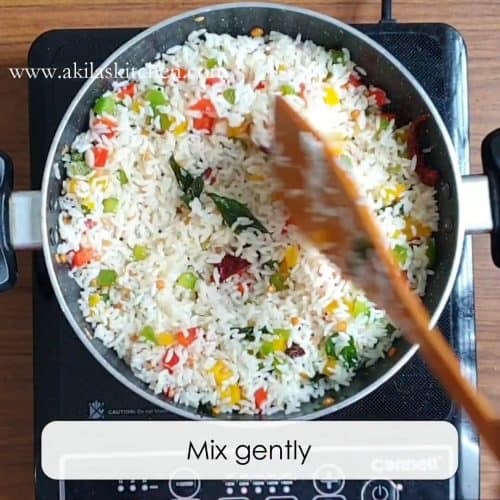 but adding ghee, makes this rice tastier and gives a nice aroma. 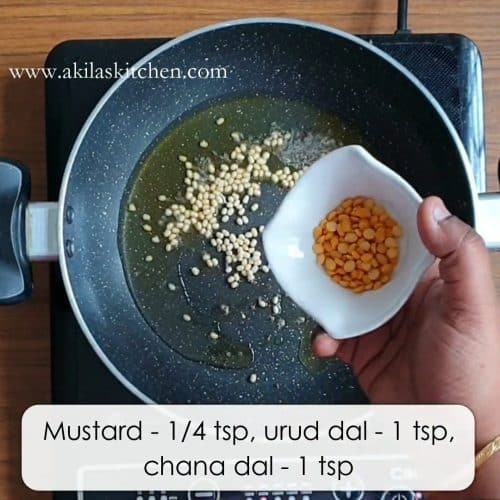 add the mustard, chana dal and urud dal. 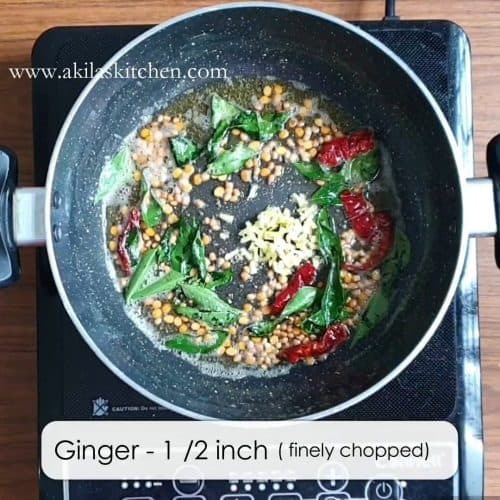 once the dal turns light brown, add the curry leaves and dried red chilli. again fry them. (here is you want you can add 1 small sized onion and 4 to 5 galic cloves) . here i am making this as no onion no garlic rice. cut the ginger into fine pieces and add them now. you can also add ginger paste of around 1/2 tsp. saute till the raw smell of ginger goes off. now add in the 1 or 2 big green chilli, which is finely chopped. also add in the chopped capsicums. 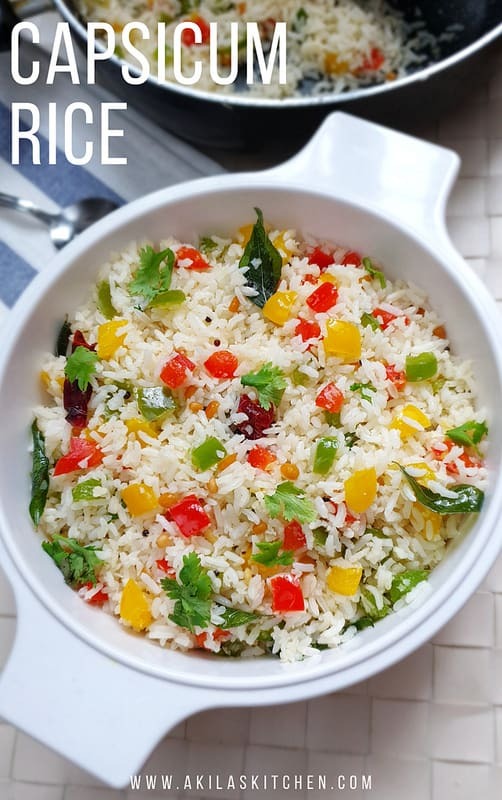 i have used three coloured capsicum to give a colorful look to the rice. also if you want, you can add in some green peas, 2 tsp of grated carrots etc to this rice. salt is added now and saute them. 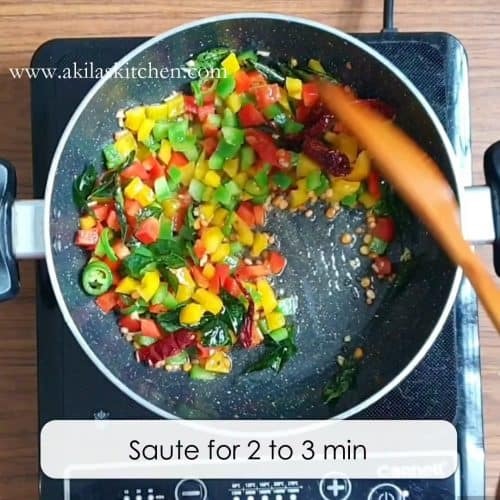 cover and cook them until capsicum are 75 to 80% cooked, as we need to retained the crunchiness of the capsicum. 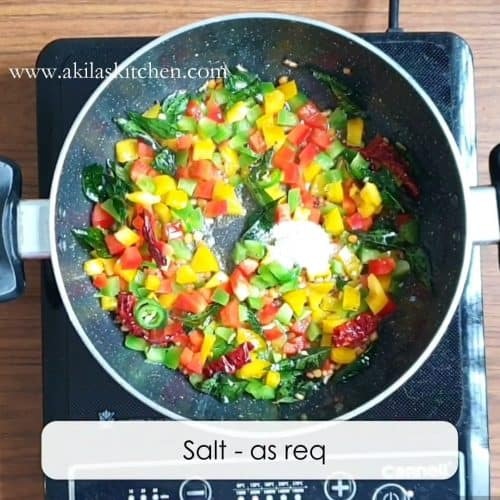 No need to add any extra water to cook the capsicum. as they are finely chopped, they get cooked with the oil we have added. to check if the capsicum are 70 to 80 % cooked, take one piece and slightly smash with your fingers. you should able to crush it by giving little pressure. now add the boiled and cooled down rice. mix them nicely, without breaking them. squeeze half of the lemon and mix again. 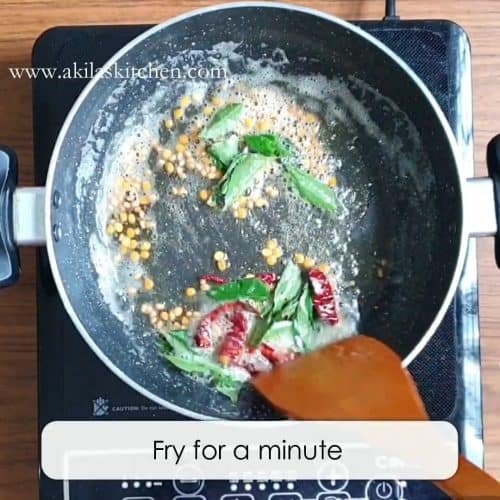 add the grated coconut now and again mix well. 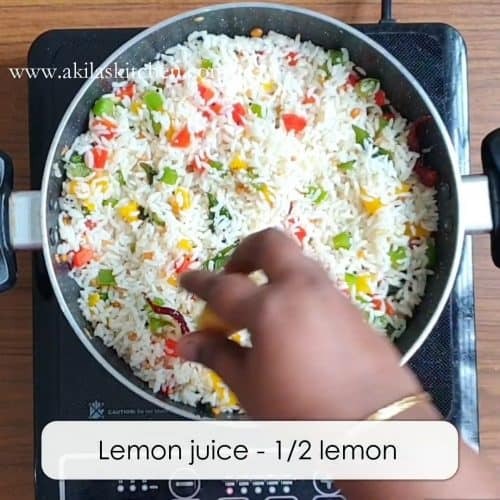 cover and cook for about 3 to 4 minutes, so that the juice of lemon and coconut flavor gets blended with rice. adjust salt if you need. 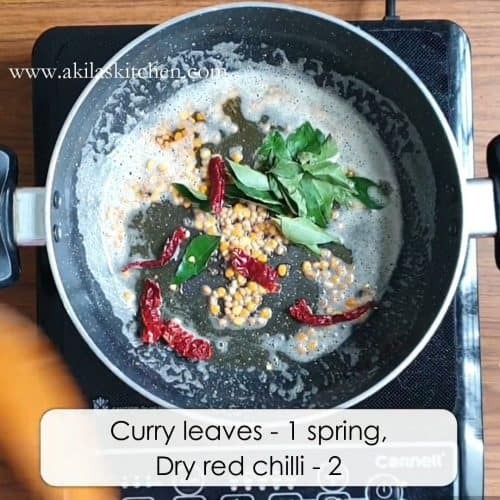 garnish with some coriander leaver and serve hot. cut the ginger into fine pieces and add them now. you can also add ginger paste of around 1/2 tsp. saute till the raw smell of ginger goes off. now add in the 1 or 2 big green chilli, which is finely chopped. tasty and colorful capsicum rice | capsicum chitranna | kudamilagai satham is ready to be served. you can add onion and garlic if you like. 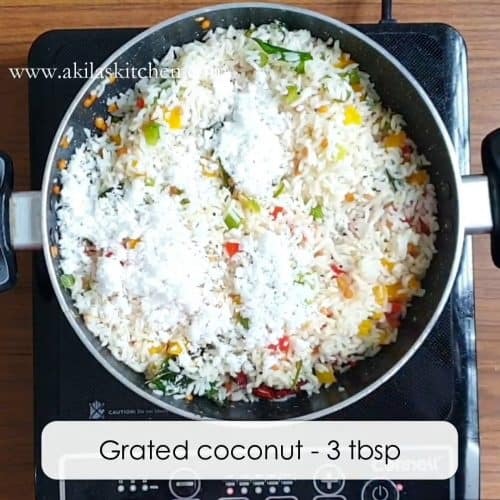 you can add in some 1 or 2 tsp of grated carrot, green peas to this rice. adding lemon and grated coconut gives a unique taste. so do add them both. if you dont get 3 colored capsicums, you can use single colored itself. 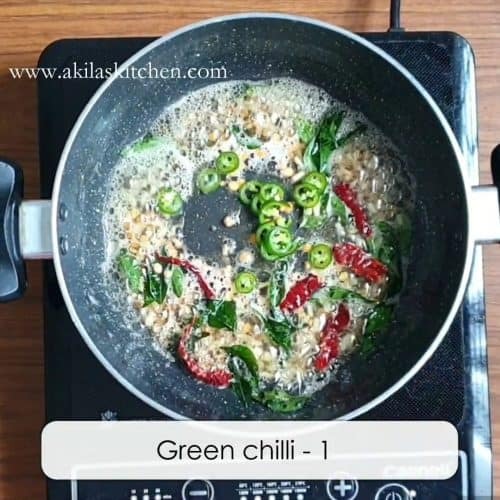 you can increase the green chilli quantity if you like more spicier one.